Warning: CUTEST CARD IN HISTORY. 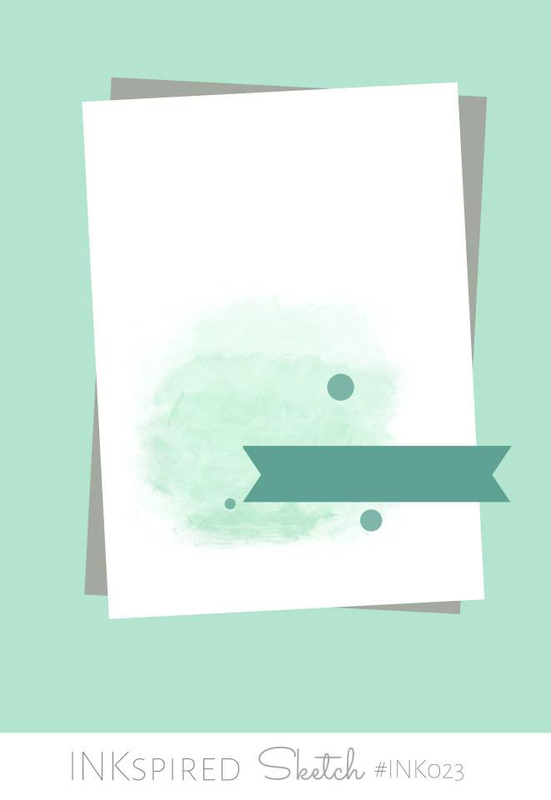 Ok, I don't want to toot my own horn....BUT this is would have to be up there for the KEW-YOUUU-TEEST card I have EVER made! 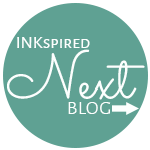 Welcome to our 23rd INKspired Blog Hop. You may have just arrive here from my gorgeous friend Lissa. If you have just arrived here, please be sure to jump all the way around to see all the amazing creations. Teneale's sketch this week was a little beauty and I knew exactly what I wanted to create, which was a pleasant feeling, as I usually sit thinking for hours and have every stamp set I own out on the table! Are you ready to say "Nawwww"?! A wee Little Deer for a wee Little Dear. I told you it was too cute for words! 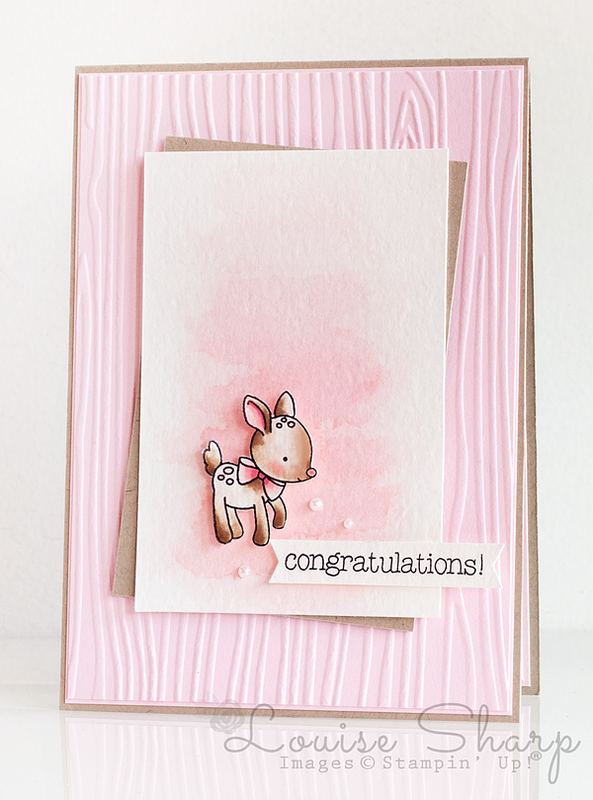 I made this card for to congratulate the safe arrival of a sweet baby girl into the lives of two super special people, Clare and Brendan. I used Watercolor Paper and an Aqua Painter to give the background a watercolor mark using the Pink Pirouette Ink Pad and pressing ink into the lid. 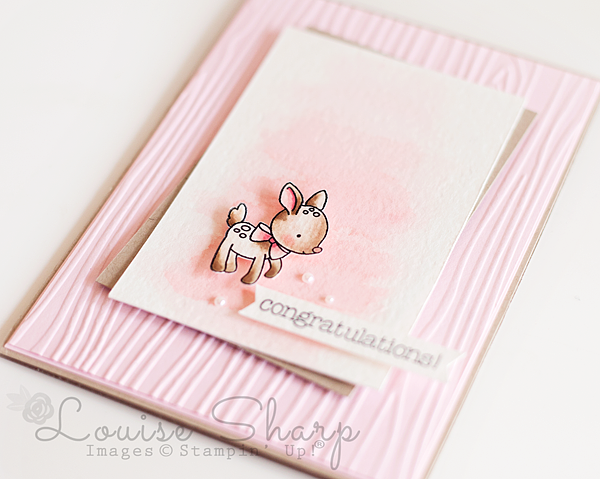 I also used the Aqua Painter to colour the wee little deer from the Made With Love stamp set. Next on the hop is my beautiful and talented friend Marlene. Sentimental Sunday is the day of the week I like to recognise someone special in my life. 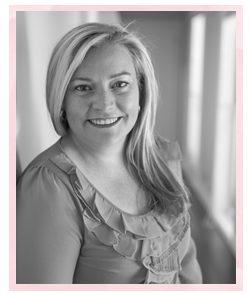 Today I would like to share with you 'Our' Clare. When our children were very young Clare was our Nanny. Not only was Clare our Nanny, Clare was my friend. She helped me with the two most important people in my life, my two beautiful children. And I could not have picked a better, more loving and caring person if I tried. Clare was God-send, literally. I am sure God sent her to me to help me through some of the toughest days and moments in my life at the time. More importantly, both our children adored her and she adored them. I will forever be grateful for having Clare in our lives and I know she will make the best Mum ever. ADORABLE Lou Lou!! Serious cuteness! This is so cute. I can see it being a popular card for new arrivals. So soooo cute love this little deer and what you have done with the card. Wow wow wow. This is so totes adorbs! Cutest card EVA! This just might be the most adorable thing I've ever seen in my life. 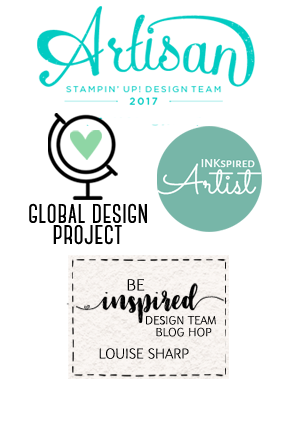 I am amazed by your talent, Louise! 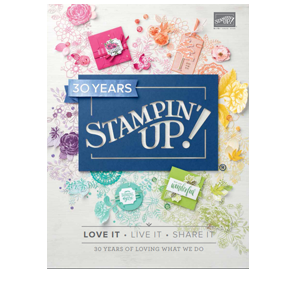 Your card is one of my most repined Pinterest projects recently, so I am highlighting your project on my blog this week. TFS!